With the impending shutdown of both Gigantic and Paragon it appears the MOBA craze is calming down after years at the top. League of Legends and Dota 2 remain titans in the genre but now a new gaming trend is on the rise. PlayerUnknown’s Battlegrounds took the world by storm last year. Its runaway popularity has caused many developers to focus their efforts on the battle royale genre – it is telling that Epic Games are dropping Paragon altogether after finding wild success with their own battle royale game, Fortnite. As more and more studios chase PUBG’s success, it might pay to look back at how Dota’s imitators fared over the years as they chased the MOBA gold rush. Fortnite or PUBG? Which is the right battle royale game for you? Many of those prospectors have been forgotten. Smite may have managed to carve out its own wildly popular corner of the market – but who is still talking about Strife? Does anyone still remember EA’s Dawngate, or licensed spin-offs like Infinite Crisis and Guardians of Middle-earth? For years, it felt like many developers saw the genre as an easy way to secure a smash hit. But while millions love League of Legends and Dota 2, the problem is in trying to prise them away from those games by selling a fundamentally similar experience with its own learning curve and nuances. Where many tried to recreate the MOBA there were others who found more success in trying to reimagine it. What these developers realised was a need to stand out from the crowd – there are dozens of ways to remix the core idea of pushing lanes, levelling heroes, and farming creeps without rigidly adhering to the laws of League. New genres could be thrown into the mix, and unwanted elements streamlined out, creating experiences that evoked Dota but took unexpected turns. 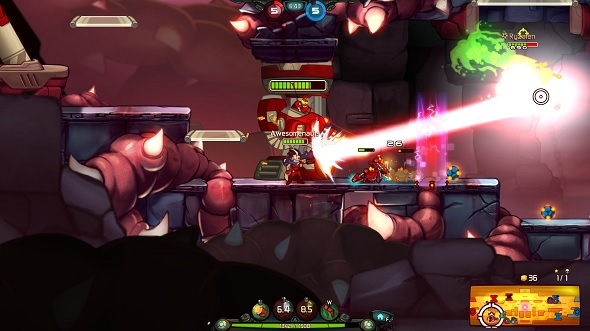 These are games like Awesomenauts, a side-scrolling, platform-shooting take on the mould with a loud Saturday-morning-cartoon flair. AirMech took the genre back to its strategy roots – restoring base building and army composition as a key part of the fray. Monday Night Combat found success on Xbox Live Arcade, bringing towers and creep lanes to its imitation of Team Fortress 2 – PC sequel Super Monday Night Combat brought the MOBA and third-person-shooter even closer together. Gigantic and Paragon followed suit. 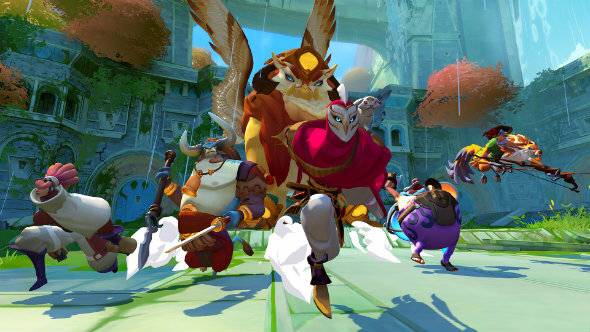 The former in particular, Motiga’s tragically short-lived MOBA, boasted some brilliant innovations, replacing the genre’s static bases with colossal monsters that punctuated games with chaotic boss battles. While these titles ultimately failed to blow up in the way their developers hoped, they exist as reminders of what happens when creative minds really let loose on a trend. We are already seeing the battle royale space undergo a similar period of invention. 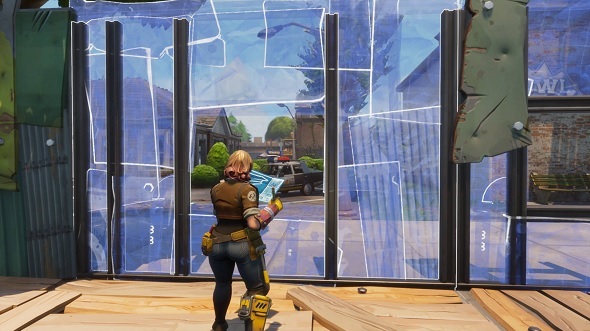 Epic were hit with accusations of jumping on the bandwagon with Fortnite, but introducing construction (and destruction) gave the game its own identity, and clearly attracted an audience large and dedicated enough to rival PlayerUnknown’s titan. Hi-Rez Studios are looking to offer another variation with Paladins: Battlegrounds, bringing influence in from the game’s hero-shooter heritage. These innovations are coming from games that were made before PUBG, however, and so are simply adapting the battle royale to an existing gameplay format. What we should be reallyexcited about, is the emergence of completely new games that fiddle with the battle royale format from the ground up. 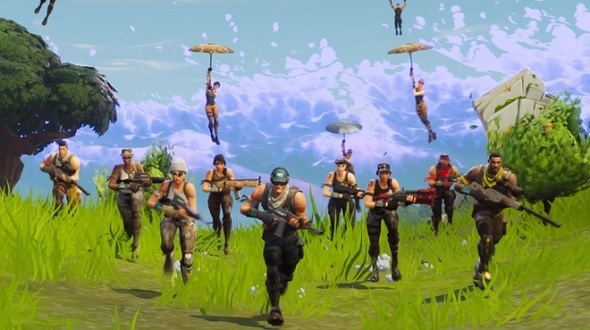 What does a battle royale game look like without guns? How about as a Mad-Max-style game where players scavenge for car parts, not backpacks? What does a one-versus-99 game look like in the maze-like chambers of a Metroidvania, rooms shutting off one by one? Whatever happens, fatigue is going to hit the genre hard, as the years go by. Just like the MOBA, then, it is going to take creative thinking from developers to find new ways to keep battle royale games feeling fresh. As such, we have much to look forward to.